Thanks to everyone who came along to the Head of the Float on a windy Saturday 1st December, competitors, umpires and club members. It takes about 3 months to prepare for our events and a very long day (we opened the club at 0615 on Saturday) to carry out final preparations and welcome all our visitors. The entry for Head of the Float was down on recent years, due perhaps to Chester Long Distance Sculls being rearranged to last weekend. Nevertheless we had 60 entries from the North West. 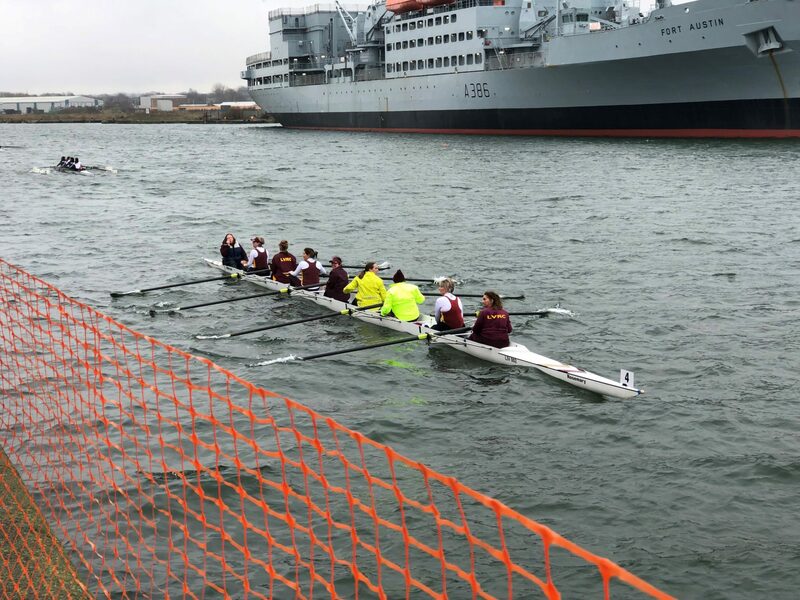 Trentham in particular sent a very strong squad of 16 crews who were not fazed by the choppy conditions at the beginning of the day. 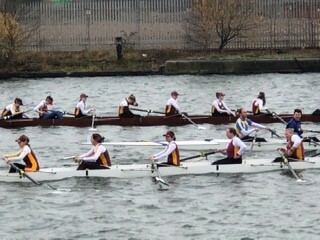 We also had a reasonable university entry, with crews from Bangor, Chester, Keele and Liverpool John Moores Universities. In the junior categories, as well as Trentham, Queens Park High School sent a number of entries, as did Northwich. Warrington, North Staffs, Mersey and Runcorn all sent adult and Masters’ crews. 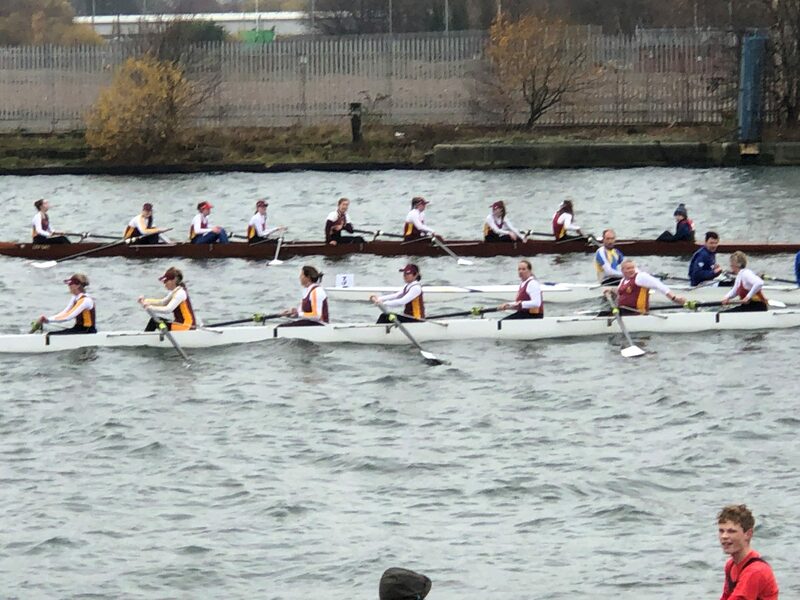 Liverpool Vics had 8 entries, ranging from WJ15 to Mas C. It was good to see two competitive junior eights (in the Open and Women’s categories), although unfortunately neither won. An Open J18 coxless quad finished second in its category to a very strong Trentham quad, which covered the course in 7:56.8. It was the WJ15 coxed quad (J Hardaker) that took Vics only win, with a very accomplished row in 9:21.8, only 10 seconds slower than the winning Northwich Women’s coxless quad time. Lesley’s junior squads are improving with every outing and show promise for the coming season. 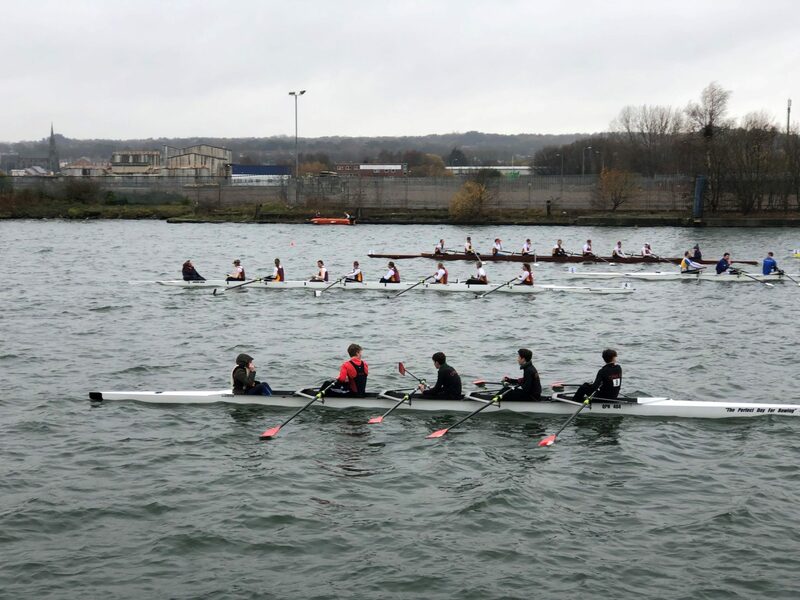 In the adult groups, the club entered both a women’s and a men’s Mas C eight, along with a women’s coxless quad. 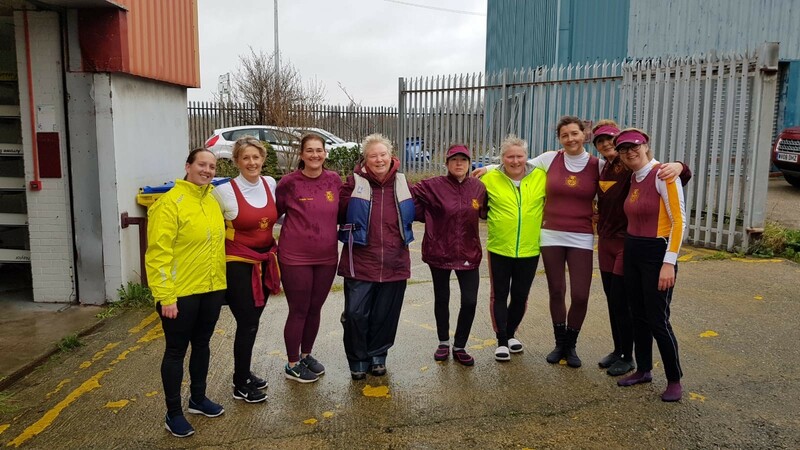 The club’s performance off the water was favourably commented upon, with a number of visitors praising the club’s ‘togetherness’ and noting the commitment made by the club’s volunteers to ensure that all competitors and visitors enjoyed themselves. In addition to the competitors and umpires from other clubs, we have to thank Rocky and his team at Jenkins Shipping for the use of their facilities, United Molasses and Storage for permission to place an umpire on their site, and Runcorn Rowing Club, the Sea Cadets and Sea Scouts for their help with Safety Boat cover. Without this help and Peel Ports permission we could not run our events. 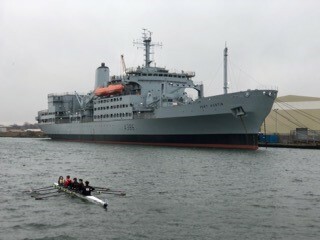 The next ‘home’ event is Merseyside Regatta in May. Let’s make that another successful event. Before that don’t forget the Vics Christmas Party on Saturday 15th December and Boxing Day Eights on…..Boxing Day! No Replies to "Head of the Float 2018"